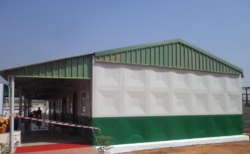 Leading Manufacturer of multi purpose cabins, prefabricated security cabins, heavy duty sandwich panel security cabin, security cabin premium, sintex readymade toilet and steel insulated cabin from Ludhiana. 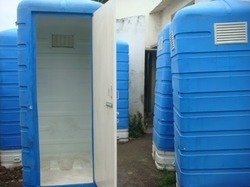 We are the most trusted name engaged in offering the quality Multi Purpose Cabins. The offered cabin is designed by using modular components & leading techniques in accordance with the set norms of industry. 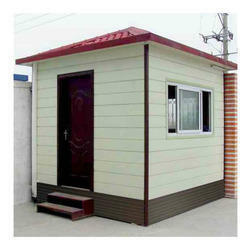 As well, our offered cabin can be customized as per the customer's specifications. 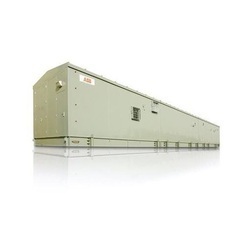 Our customer's can avail this cabin from us within a given time frame at nominal rates. We are passionately engaged in offering an exclusive range of Prefabricated Security Cabins. 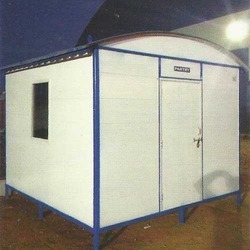 Our given security cabin is available from us on several customized options as per the demand of customers. 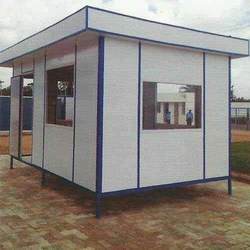 This security cabin is manufactured utilizing quality assured material and modern techniques as per the set standards of market. 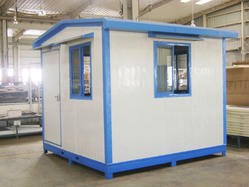 This security cabin is appreciated in the market due to its sturdy construction & less maintenance. We are renowned as the most popular enterprises in this industry, offering a wide gamut of Steel Insulated Cabin. Our insulated cabin is ergonomically manufactured with quality proven material and modish technology under the direction of our professionals. We offer this insulated cabin on numerous customized options so as to meet the requirements of customers. Our patrons can avail this insulated cabin from us at reasonable price in a stipulated time frame.